Two bedroom condo in west-end Glastonbury neighborhood! 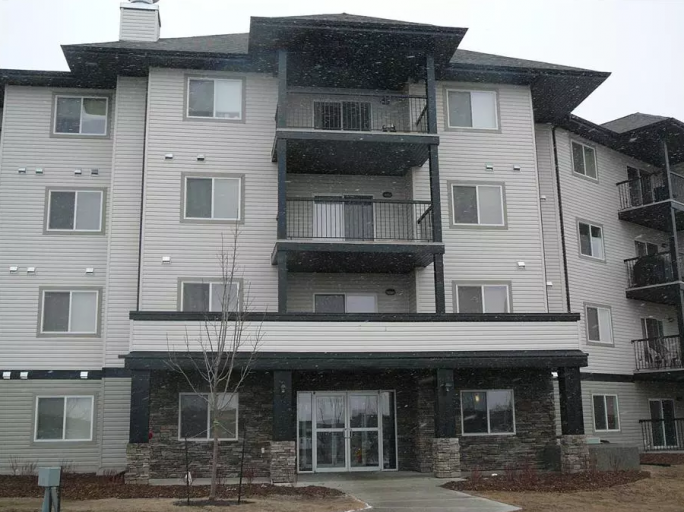 Enjoy easy access to Whitemud Drive and Anthony Henday Ring Road! Plus major shopping and entertainment are just minutes away, including West Edmonton Mall! You will fall in love with this amazing condo! The kitchen boasts lovely wood cabinetry and black appliances including fridge, oven, stove, microwave and even a dishwasher! The open layout is very comforting and welcoming to all who enter! Two spacious bedrooms and two large bathrooms. The master bedroom has a large walk-in closet leading to the en-suite bathroom. You'll love the ease of having your own private laundry, no more sharing!! Water and heat are included in rent, meaning you only pay for power! Rent also includes one secure underground parking stall, and an above ground tandem stall!! The building even has its own on-site fitness facility! Call us today to book a viewing! !